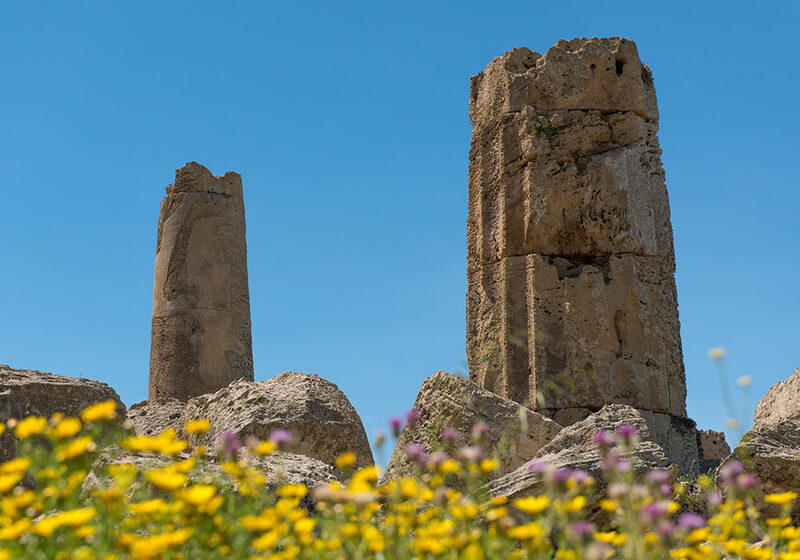 The ruins of the Ancient Greek town of Selinunte is one of the most important and impressive Classical sites in Sicily. It is the largest archeological park in Europe. 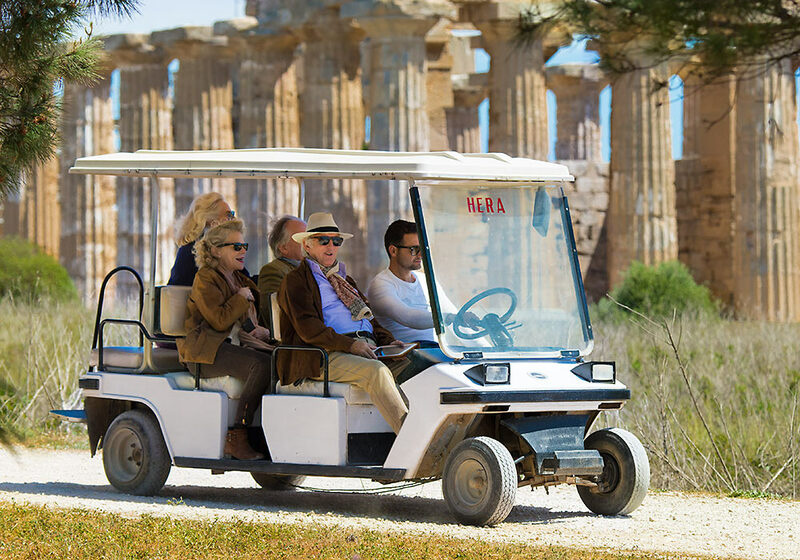 Tourists at Selinunte (once Selinus). In 414 BC hostilities flared up between Selinus (Selinunte) and Segesta. Since Segesta didn't get any help from Akragas (Agrigento), they went to to Athens during the winter 416/415 to beg for help. The Athenian expedition in Sicily (415-413 BC), however, was a complete disaster for Greece. Later Segesta asked Carthage for help, leading to the total destruction of Selinus by the hands of Carthage. 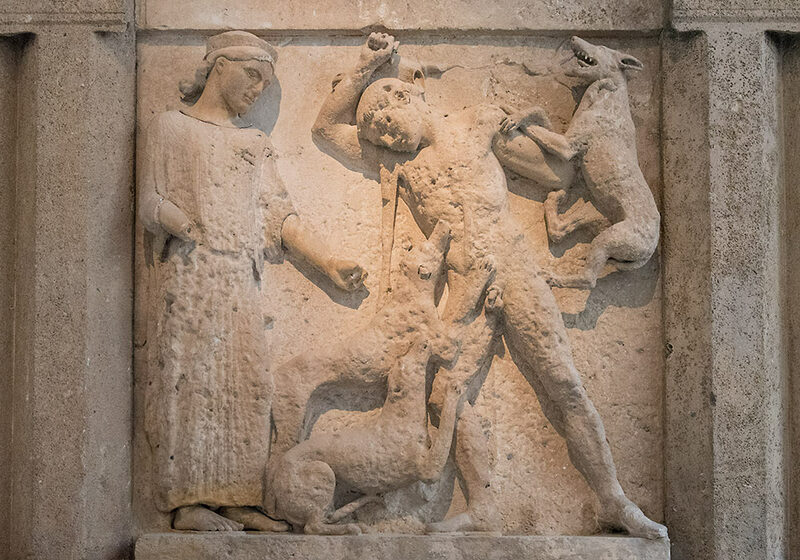 Actaeon punished for having seen Artemis, the goddess of hunting, naked. Selinunte, Temple E, 460-450BC. Limestone and marble. Archeological Museum, Palermo. Snails at Selinunte. Following the Carthiginian siege of 409 BC, Selinunte was systematically destroyed. The name Selinunte is probably derived from Ancient Greek selinon – wild parsley that grew on the spot. 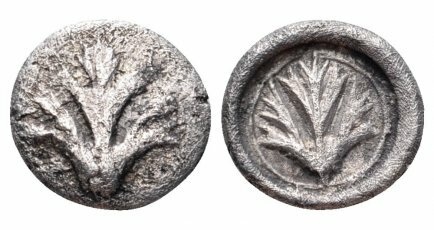 For the same reason, they adopted the parsley leaf as the symbol on their coins. Selinunte was early brought into contact and collision with the Carthaginians and the native Sicilians in the west and northwest of the island. As early as 580 BC the Selinuntines were engaged in hostilities with the people of Segesta, and disputes and hostilities seem to have been of frequent occurrence between Segesta and Selinunte. 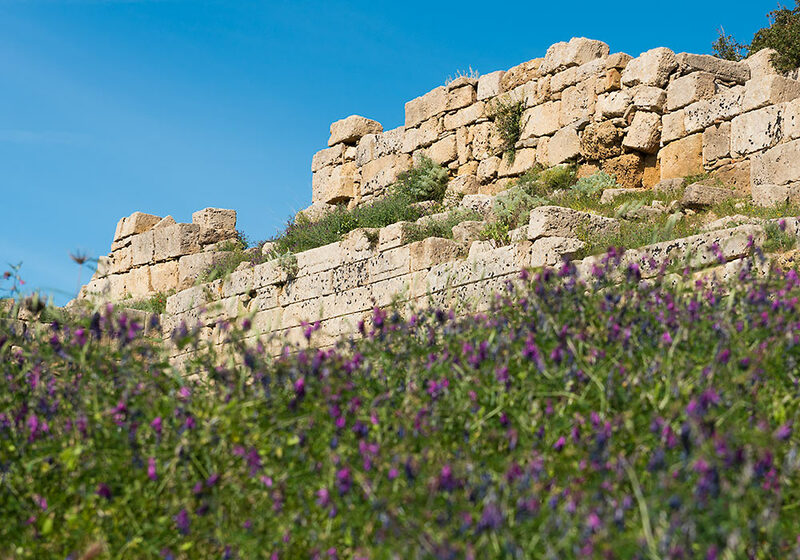 After a ten-day siege in 409 BC, Selinunte was taken by the Carthaginians and Segesta. According to sources, 16,000 citizens of Selinunte were slain, 5,000 made prisoners, and 2,600 under the command of Empedion escaped to Agrigentum (Agrigento). 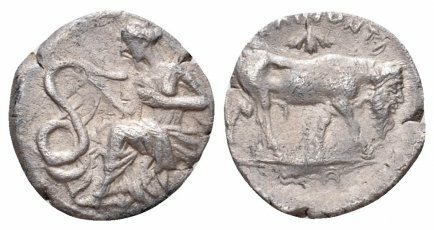 During the First Punic War we again find Selinunte subject to Carthage, and its territory was repeatedly the theater of military operations between the contending powers. But before the close of the war (about 250 BCE), when the Carthaginians were beginning to contract their operations, and confine themselves to the defense of as few points as possible, they removed all the inhabitants of Selinunte to Lilybaeum and destroyed the city. 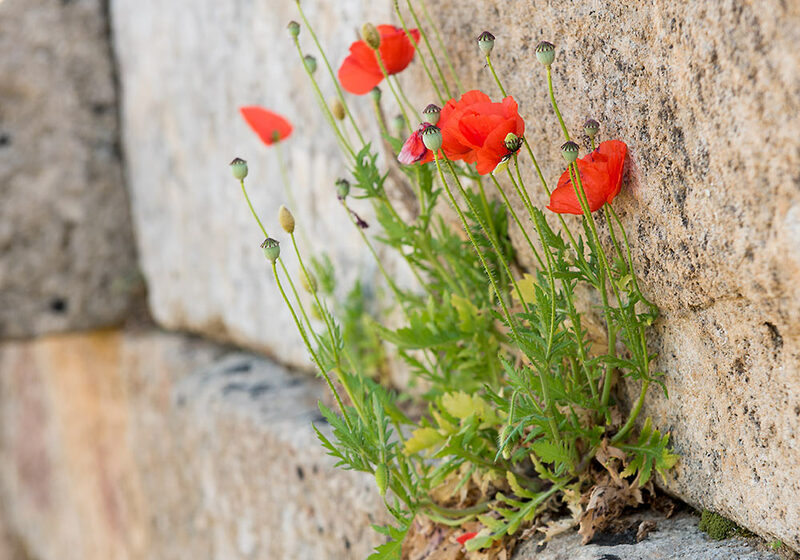 Poppies growing on the defensive wall at Selinunte. 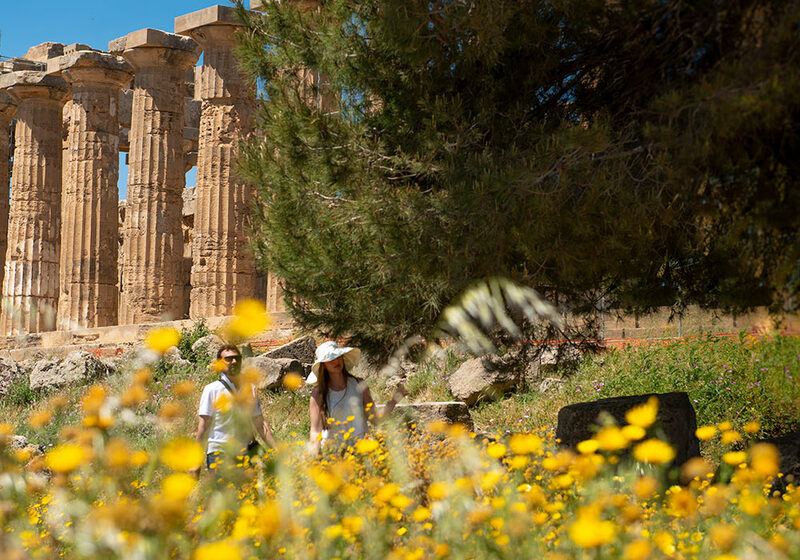 The flowers couldn't save the ancient city from (almost) total destruction, though. The name Selinunte is derived from Ancient Greek selinon – wild parsley that grew on the spot. For the same reason, they adopted the parsley leaf as the symbol on their coins. 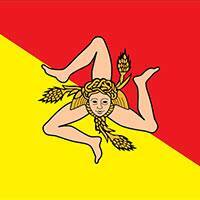 Description: Sicily, Selinos AR Litra. 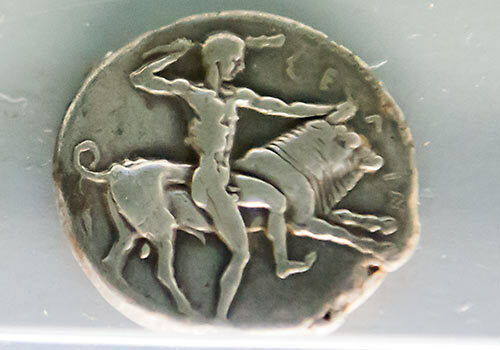 Circa 410 BC. Nymph seated left on rock, right hand raised above her head, extending her left hand to touch coiled serpent before her / Man-headed bull standing right; selinon leaf above, ΣEΛINONTION around. SNG ANS -; SNG Copenhagen -; SNG Lloyd 1270. 0.72g, 12mm, 10h. About Very Fine. From the Mark Christenson Collection; Ex ACR 3, 31 May 2011, lot 67. 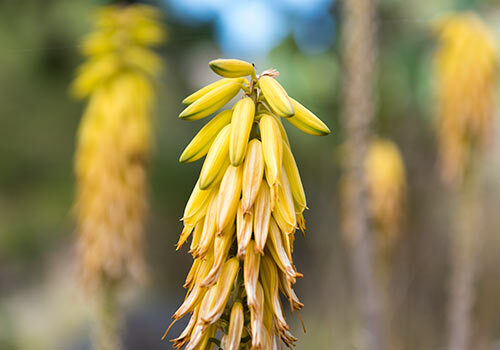 Click here for photos of plant life in Sicily. 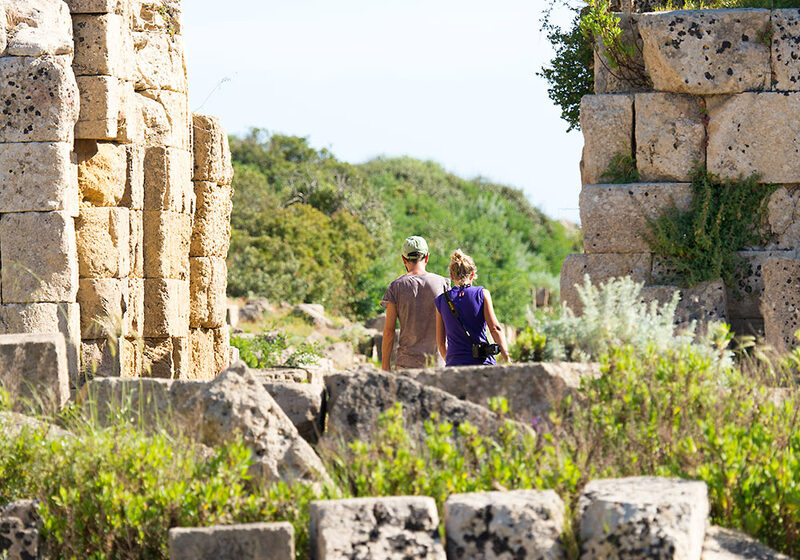 Young and old at Selinunte Archeological Park. Spectacular view of Selinunte from helicopter. 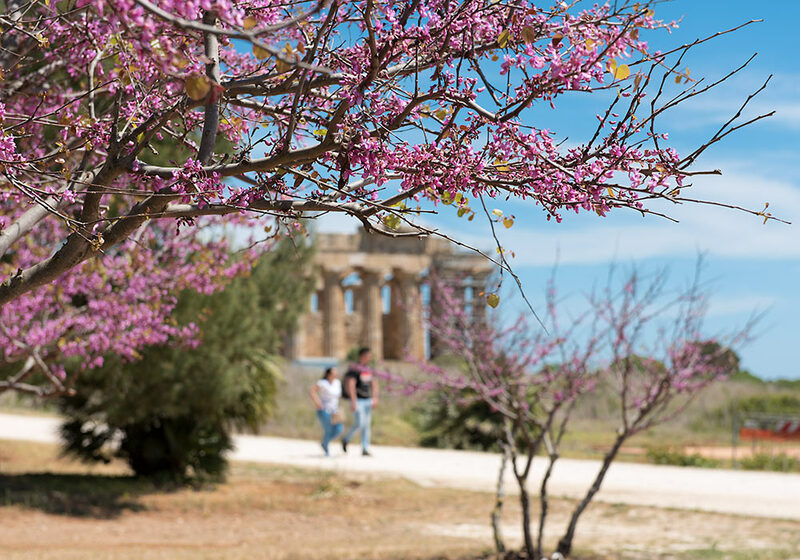 According to Thucydides, Selinunte was founded by the Greek colony Megara Hyblaea (near Augusta). It was actually not before the 16th century that Selinunte was rediscovered. More systematic excavations began in 1809 (fruitless) and in 1822 (by William Harris and Samuel Angell). Columns at Selinunte Archeological Park. 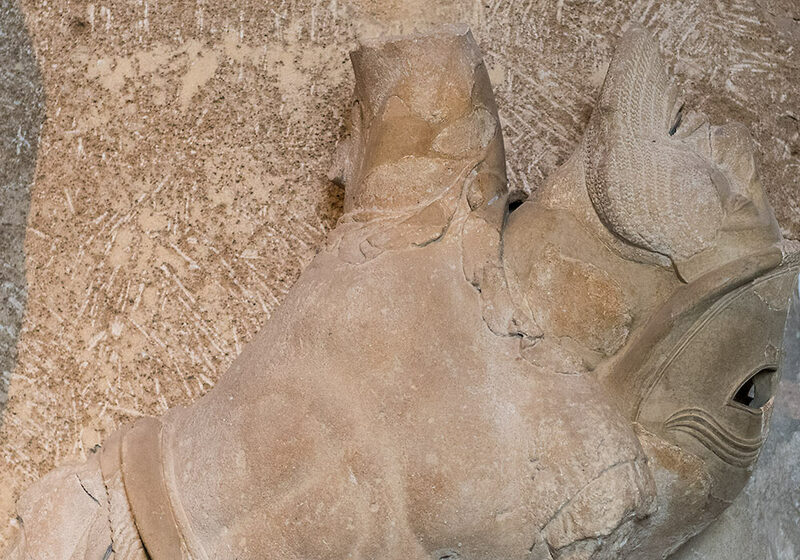 Selinunte, Temple F (490-480BC): Fragment of a metope showing a dead giant. Archeological Museum, Palermo. Part of the defensive wall at Selinunte. 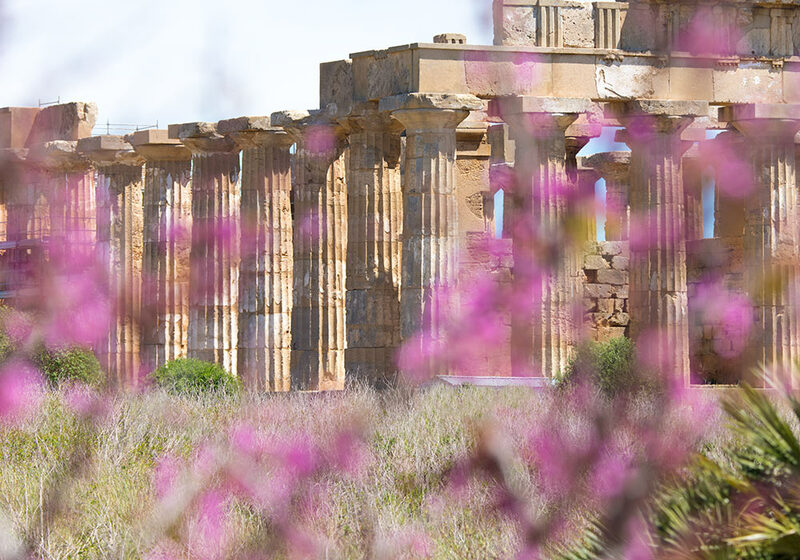 The Doric Temple E (490-480 BC) at Selinunte was probably dedicated to Hera. The columns were re-erected in 1958 after having been toppled by an earthquake. 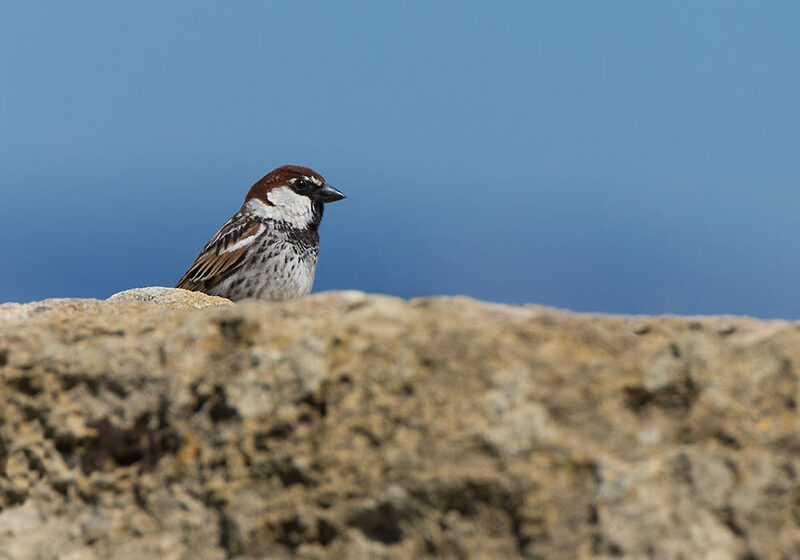 Bird (Italian sparrow, I think) hiding in the ruins at the Selinunte Archeological Park. 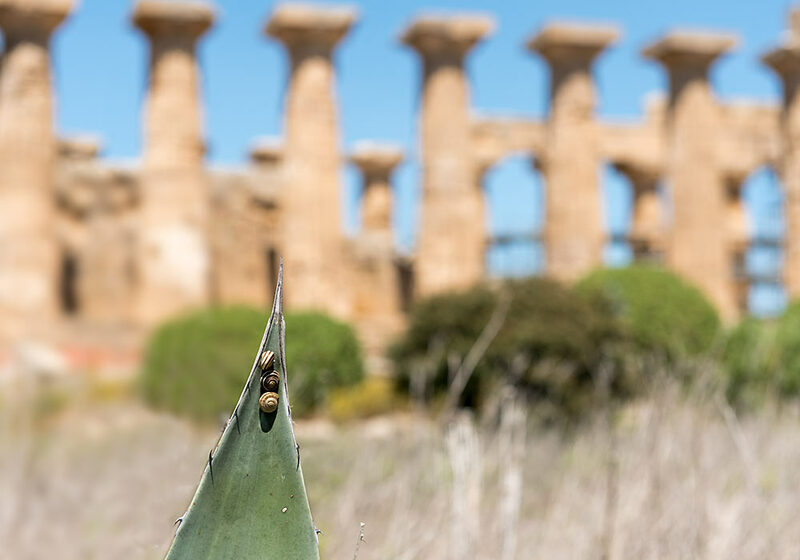 Selinunte, Sicily: Temple E. The columne were re-erected in 1958. 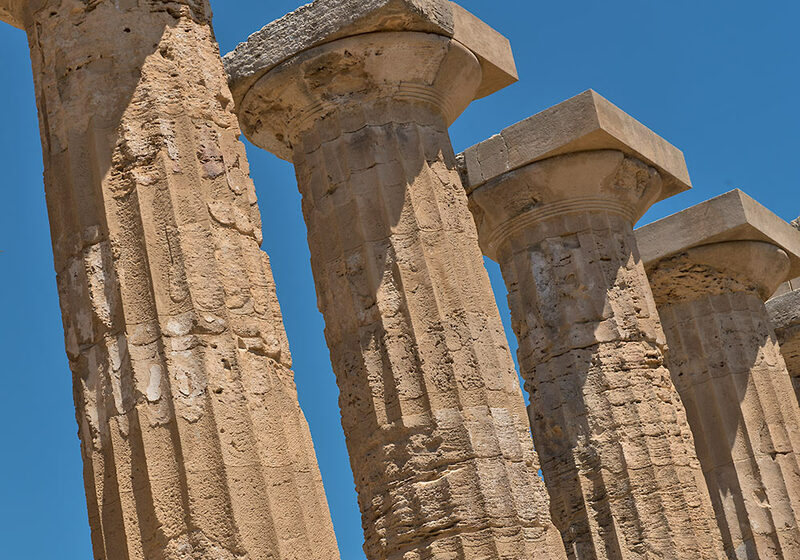 The temple was built 490-480 BC. Four of the metopes can be seen in Palermo's archeological museum. Some 70 years later it is estimated that the city had 30.000 inhabitants. The archaeological site contains five temples centered on an acropolis. 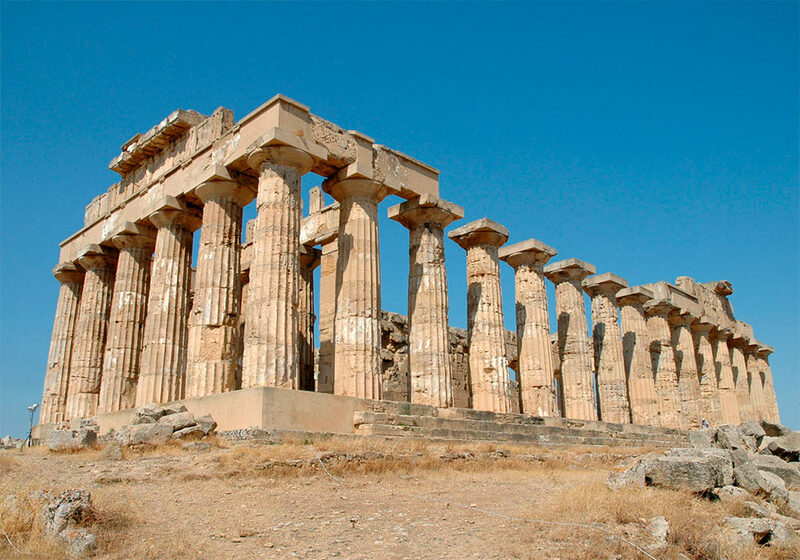 Of the five temples, only the Temple of Hera, also known as "Temple E", has been re-erected. 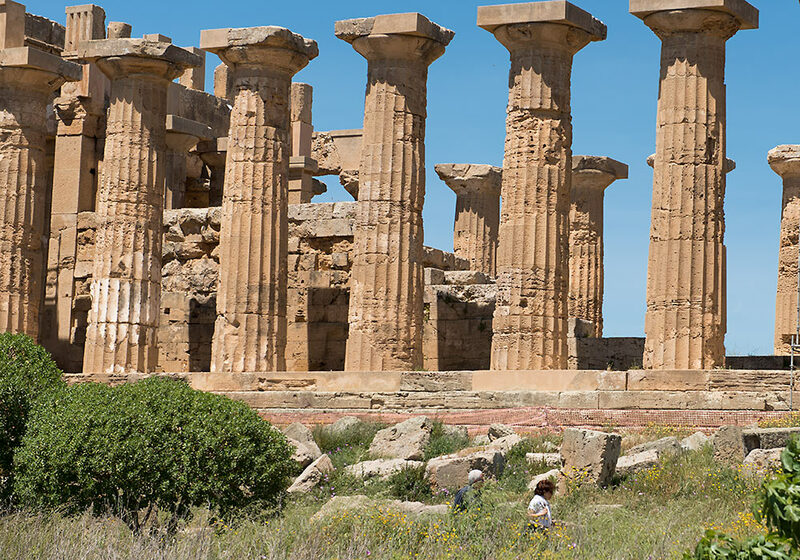 The Italian chef Giorgio Locatelli tells of his soft spot for Sicily: "The most famous archaeological site is the Valley of Temples in Agrigento, but I love Selinunte, further up the coast. The landscape is wilder there. I walk from the beach up and around the remains of the acropolis, necropolis and old market, all from about 650BC. The view is incredible and you can feel the presence of the ancient Greeks."